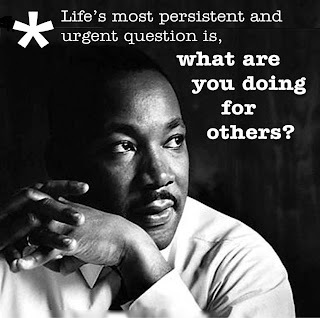 Dr. Martin Luther King, Jr. galvanized the Civil Rights Movement of the 1950's and 1960's due to his remarkable courage and unsurpassed eloquence. He was right: those who were on the opposing side of the argument were revealed as hideous, sadistic monsters. They still are. 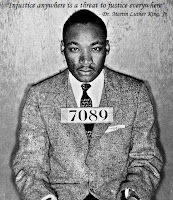 Unspeakable atrocities preceded and follow Dr. King's time of leadership. 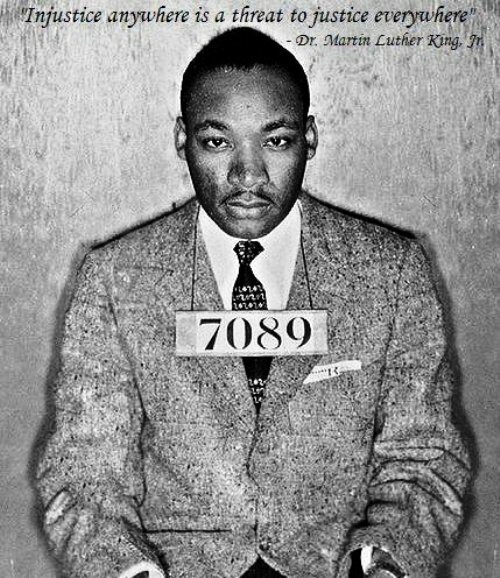 His actions and words still call forth men and women, boys and girls of all demographics to seek equality in America. And the price could be high. When Dr. King gave his immortal, 'I Have A Dream' speech, he ignited dreams among all ethnicities, genders, religions, and students. Hearing it is a profound experience. Please have your students listen. It is probably the most important speech given in the twentieth century, and given by a future winner of the Nobel Peace Prize. 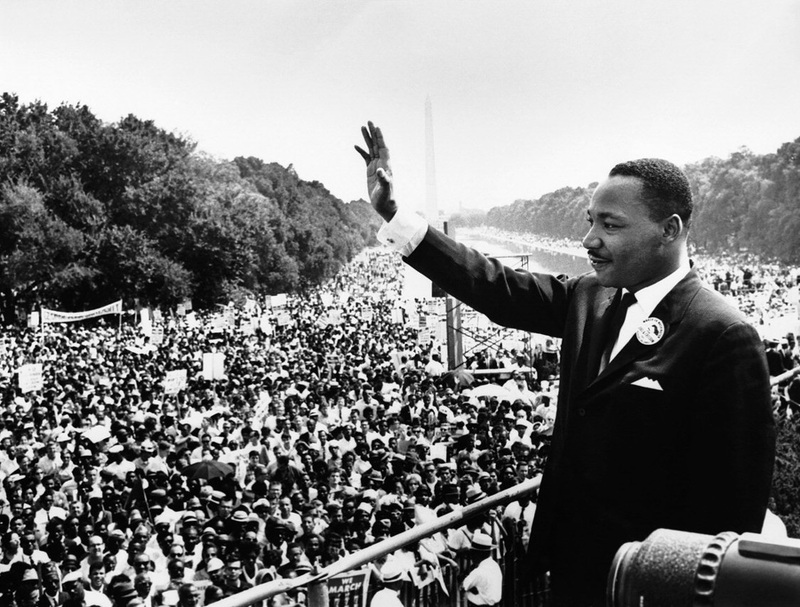 Here is a resource to hear the "I Have A Dream" Speech on American Rhetoric. A third grader, small for his age, could really run fast during practice for his elementary school's Olympic Day. It was his way to shine. His tennies were worn out, so Teacher got him a new pair at Wal-Mart. He made the school proud. This school district was low income, and located near a federal prison, therefore many families were in the area to be living nearby to visit relatives. The little boy also worked very hard at reading, writing, and math, including those impossible fractions. 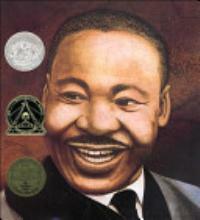 After the January 19th holiday, he asked Teacher, "Why don't they make Dr. Martin Luther King bedsheets? They make them for Superman." He had chosen the better hero. This is a true story, and I hope the little guy is now a grown, happy, and functional adult, since I last had him at school in 1995. He had the odds against him, but hopefully some encouragement from reading in school has remained with him. This story of Dr. King and his profound words will be like miracle grow to the young soul, no matter what color his skin may be. There are excellent resources to inform students about Dr. Martin Luther, King. And some posters and quotes. He who is devoid of the power to forgive is devoid of the power to love. There is some good in the worst of us and some evil in the best of us. When we discover this, we are less prone to hate our enemies. 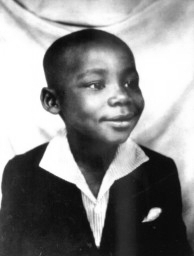 MLK aged seven. Do you have one in your first grade? Maybe your eighth grade class, or your American History class?